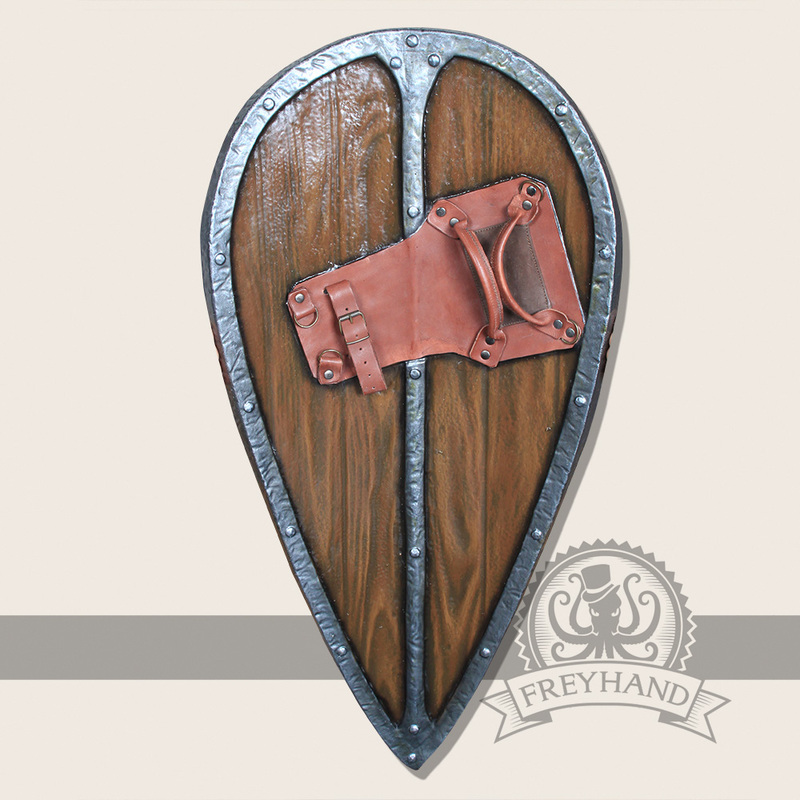 This type of shield originally evolved from the round shield. 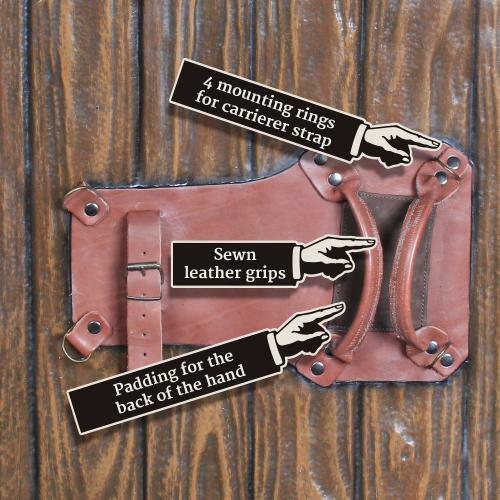 This was prolonged towards the bottom, to offer reasonable protection for horseback riders. 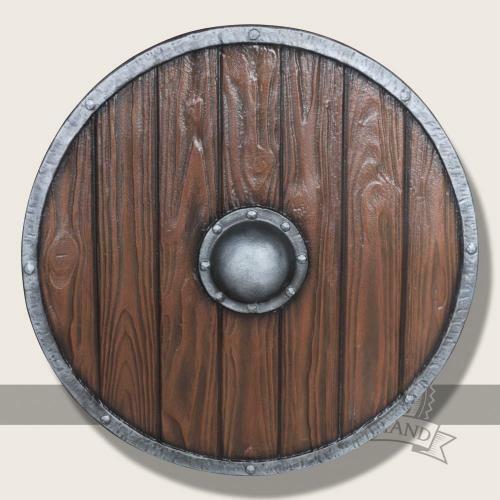 However the norman shield was also often used by foot soldiers. 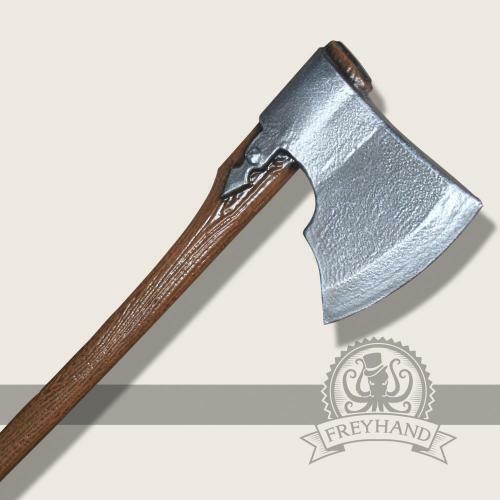 The handle is attached slightly square and the standard variant is made for right-handed persons. If you are left-handed and use your shield with the right hand, please choose in the drop down menu below. The back carrier is already included in the handle, if you would like to order a matching strap please also choose this in the menu below. 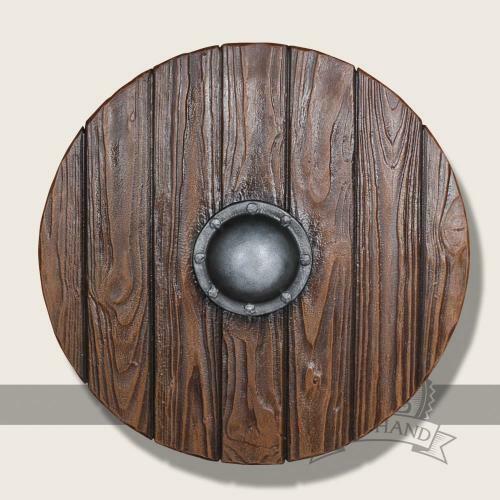 Besides we also offer to paint all our shields with your special colors or emblems. The price depends on the motive. All pictures are examples. 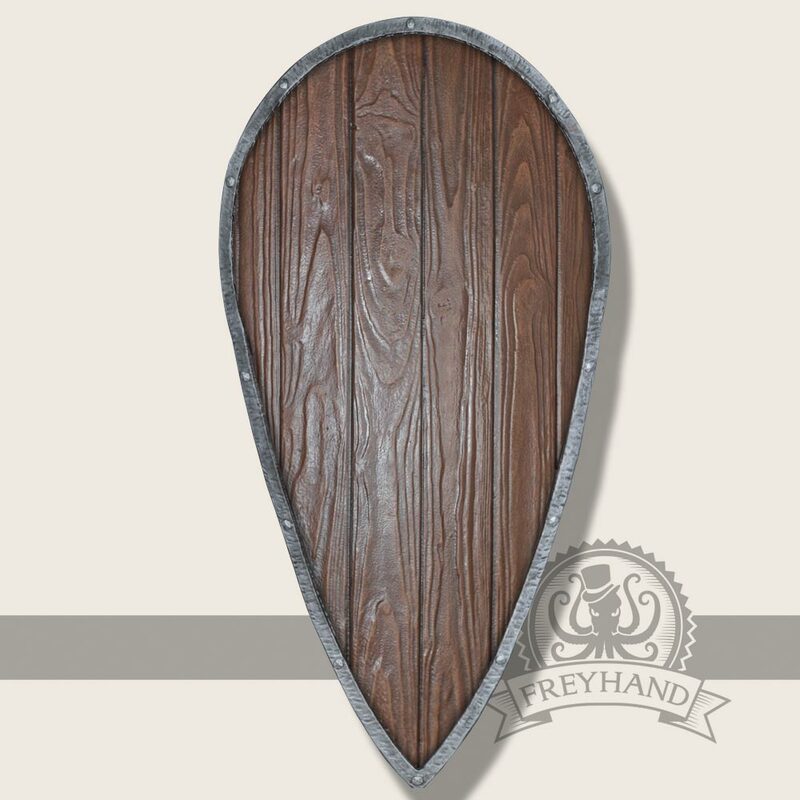 With your purchase you will get a shield that is very similar to the one displayed. 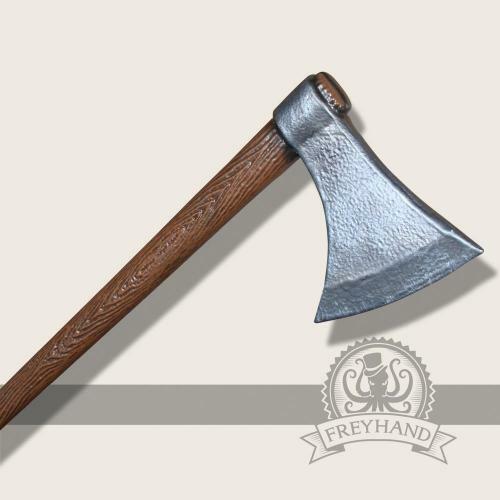 As all our weapons are hand made, slight differences are inevitable. This makes every piece unique.